Oh Michael, Look What You’ve Done: Friends Play Michael Chapman, a little-blogged under-the-radar release from Tompkins Square Records which came to my attention via a reader just last month, deserves second-place recognition for a comprehensively strong set of folk-and-more tracks that reveal surprising nuance from the catalog of a sadly undersung jazzfolk hero of the Cornish circuit with over 30 albums to his name; check it out for slow, dreamy interpretations from Meg Baird, Two Wings, Maddy Prior, William Tyler, Hiss Golden Messenger, the ubiquitous Lucinda Williams and others who shared his stage. 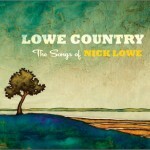 Strong runners-up included the decidedly twangy Nick Lowe tribute Lowe Country, and Long Distance Salvation, a double-disk tribute to Springsteen’s Nebraska, which contains at least a single album’s worth of excellence, and plenty of good besides. Also problematic, for technical reasons: David Crossland’s tribute to mentor and Kingston Trio co-founder John Stewart remains on the cusp of release as of presstime and thus will likely count as a 2013 contender. And though Love Canon’s Greatest Hits Vol. 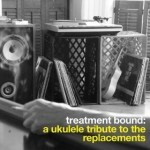 2 and Treatment Bound: A Ukulele Tribute To The Replacements got plenty of play in my car and my house this year, both get honorable mention but no awards: the former tribute to the songs of my 80′s childhood is hugely fun and eminently sunny but, despite a strong and perfectly earnest take on Journey’s Don’t Stop Believing, ultimately lacks depth (and is probably supposed to, given the tongue-in-cheek band name, Tron-parody album cover, the laughter that ends many tracks, and a playlist that includes slyly gleeful bluegrass versions of both Olivia Newton John hit Physical and Devo’s Whip It); similarly, and much less successfully, though the MTV unplugged consistency of the Replacements tribute is fun for a while, the one-take two-uke retread approach wears thin by album’s end, leaving it with little staying power. By contrast, we find a huge and varied set of contenders in this category this year, many of which deserve respect and admiration at year’s end, from Pesky J. Nixon’s alternately intimate and raucous living-room-recorded Red Ducks to The Chieftains’ guest-heavy collaboration Voice Of Ages, which made the rounds of many blogs upon release, thanks to guest spots from Bon Iver, The Low Anthem, et al. But if we’re looking for album-length perfection with staying power, three strong contenders shoot to the top of the list: Peter Mulvey’s ancient, raw, ragged The Good Stuff, Rickie Lee Jones’ stunningly hushed and deconstructed The Devil You Know, which was produced by Ben Harper and sounds like it, and Shannon Whitworth and Barrett Smith’s amazingly heartfelt Bring It On Home. Of these, the half-acoustic soul, half-folk Bring It On Home gets the nod for top honors by a razor’s edge, because we’re suckers for both masterfully produced layers of stringwork and sweet harmonies here at Cover Lay Down, and this album has got ‘em in spades. Two new albums from perennial kidfolk favorite and Smithsonian songstress Elizabeth Mitchell tie for second place: both her Grammy-nominated Woody Guthrie covers album Little Seed and her more recent release Blue Clouds are excellent additions to a growing body of work, further cementing her place at the core of the modern kidfolk canon. 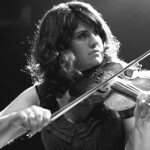 Bonus points to Jumpin’ Through Hoops, whose Rockin’ to the Fiddle is a tiny, joyous tradfolk set of fiddle tunes and kidfolk classics from Kristen Andreassen and friends which was released too late in 2011 for consideration in last year’s tongue-in-cheek awards. Finally, our sole new category this year, and one long-overdue, as the trend towards YouTube coverage sets and series seems to reached critical mass a while ago. Old Ideas with New Friends, a previously-blogged early 2012 Vimeo project designed to raise awareness of Leonard Cohen’s then-new release Old Ideas, had a diverse set of tracks but several with staying power, while Antje Dukekot’s monthly six-song-so-far Antje Sings Covers! solo set may lack the rich instrumentation and depth of her nuanced studio albums, but her lighthearted overdubbed takes on favorite songs from Paul Simon, Leonard Cohen, The Wailin’ Jennys, and others make for a fine if cutesy introduction to her live performance. But in the end, appropriately enough, it’s the native YouTuber who wins out: ortoPilot’s advent calendars are always stellar, but this year’s is nearly perfect, with masterful predominantly solo guitar-and-voice driven takes on a diverse set of modern pop and indie radio tunes from Seahorses, Kings of Convenience and Foster The People to TLC, Green Day, Stevie Wonder and Smashmouth. 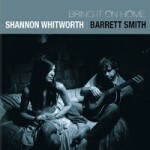 The most potent and poignant version of Paul Simon’s Duncan ever recorded; warm and well-crafted contemporary folk reconstructions of Leonard Cohen’s Bird On A Wire, James Taylor’s You Can Close Your Eyes, and Paul Seibel’s Louise; a distinctively dark and moody You Are My Sunshine – new collaborators Shannon Whitworth and Barrett Smith, who have toured together but recorded as solo artists up until now, are at the top of their games. And though overall their brand new all-covers album Bring it on Home runs a diverse gamut from true contemporary folk to indie electro-acoustic soul (album-opener Sam Cooke’s Bring It On Home To Me; Van Morrison’s I’ll Be Your Lover, Too) and soft-as-smoke blues club balladry (Tom Waits’ Green Grass; Antonio Carlos Jobim’s Corcovado; old standard Moonglow), its heart is made of stunning folk gems, making it an easy competitor for the year’s best coverfolk album and causing several major upheavals in my ongoing list of favorite song covers. Masterful production and arrangement here provide us with the perfect combination of comfort and revelation, making for a perfect late-night long drive soundtrack; it’s easy to believe that the album found inspiration in “a late-night tour drive across what seemed like all of Canada”. Gentle trumpet, uke, fiddle, banjo and saxophone flourishes lend just the right layers to the songs, showcasing strong and deliberate vocals, crisp guitars and pianos, and arrangements without disrupting the smooth track-to-track flow. And the combination of voices here is heavenly, with Strong and Whitworth’s equally intimate, equally weary voices trading lead and harmony in true duo form. Bring It On Home drops November 20, but as a lucky recipient of an advance copy, I’ve had it stuck on repeat in the car for over a month – even my ten year old, whose tastes run towards pre-teen pop, finds the lush harmonies and rich instrumentation worth asking for over and over. Our highest recommendation, then: check out two tracks here, and stay tuned for a Single Song Sunday coming up in the next few weeks featuring a third. We’re huge fans of Vancouver singer-songwriter Reid Jamieson here at Cover Lay Down, and I’d like to think the feeling is mutual: thanks to direct outreach from the recipient in question, we were the first to feature Songs of 69, his 2011 all-covers birthday tribute to his wife and muse, and we’ve also found great joy in his 2012 renditions of both Celine Dion’s My Heart Will Go On and the Canadian National Anthem, both of which were directly forwarded to us for sharing. As we’ve heard in all those recent projects, Jamieson’s smilingly bright, sweet and gentle tenor and light touch on both instrumentation and arrangement lend themselves especially well to lighter fare – which is to say that although his back catalog includes more high-energy electricity than much of his recent output (his 2007 tribute to the songs of Elvis Presley, for example, is a true-blue honky-tonk romp), much of Reido’s recent output has been tonally consistent, both beautiful and smooth, with layered harmonies that teeter on the edge of sentimentality without tipping into cloy. But when this self-proclaimed crooner gets serious, the results are even more powerful. And so we’re especially pleased to report that on Songs For A Winter’s Night, a brand new selection of winter-themed songs released November 9, heartwarming renditions of Gordon Lightfoot’s title track, Gene MacLellan’s Snowbird, Willie Nelson’s Pretty Paper, 1984 Band Aid project Do They Know It’s Christmas?, and a trio of sweetly optimistic originals, among others, stand alongside a choice of several darker songs – most especially Tori Amos’ Winter, Steve Miller’s Winter Time, Bruce Cockburn’s The Coldest Night Of The Year, and Nick Lowe’s Freezing. This combination of song choice and project premise makes Songs For A Winter’s Night an exceptional album from a long-time favorite: transformational, diverse, and consistent all at once. 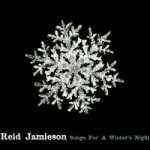 Reid’s prolific and generous heart rings through every track, making the album perfect romantic fare for the coming cold. Stream the whole thing on SoundCloud, and then head over to Reid’s site to buy physical or digital product and download an ever-growing compendium of beautiful coverage for the heart’s every season. I’m generally wary about blogging and/or bragging about tracks and projects which are unavailable to you, the reader – after all, the whole point of our ongoing exploration is to share the work to support artists and their art. But here’s a pitch for artist support: back in 2011, as part of a Kickstarter crowdfunding effort to make her most recent album, Laura Cortese offered a collection of to-be-recorded covers to anyone willing to give at the $50 level; last week, Cortese finally finished the EP-length coverset in question and sent it along to the small, exclusive group of us who lent our support, and although technically it’s not designed to be available for public consumption, she granted me permission to share a song at a time, with the caveat that she probably won’t be recording any more covers for a while. In order to balance the exclusivity of the reward with the opportunity to share, we’ll be eking these out over the next year or so; you’ll have to wait for Cortese’s haunting fiddletake on Emmylou Harris’ Boulder To Birmingham, an amazing version of The Beatles’ And Your Bird Can Sing recorded live with Session Americana, a sparse but electropunky mutation of Steve Earle’s I Ain’t Ever Satisfied, and a synth-and-fingersnap reinvention of Joni Mitchell’s California. But for now, here’s the first, with a promise of all of these eventually, and always more to come from our favorite fiddling singer-songwriter. New covers project The Big Bright is still in the early stages, with just two official songs to their name; as such, it’s a bit of a stretch to consider them within a feature designed to showcase full albums and EPs of coverage. But the very premise that brings Ollabelle’s Glenn Patscha and Fiona McBain and “critically-acclaimed neo-noir singer/songwriter” Liz Tormes together is well within our mandate: The Big Bright was formed to pay tribute to 80s New Wave songs, and if the two songs they’ve released so far are any indication, their goal of finding the tender frailties hidden under the bombast of New Wave production is already well on its way to successful fruition. The two tracks below, which currently represent the first and only official output from the trio, are unlabeled, underscoring the project’s novelty, but their transformation of INXS and Tears For Fears provide apt exemplars for both breadth and premise; as you’ll hear, this is true-blue indiefolk emocore – a bit of a surprise for those familiar with Ollabelle’s rootsy neotraditional output, but delightful all the same. Those in the NYC area will be pleased to hear that the band are in residence at The Rockwood every Monday for the month of November, offering three more chances to hear fuller sets from the trio; the rest of us will be eagerly awaiting more. Finally, speaking of tribute albums: our search for second-generation artists willing to cover their fathers’ songs for our recently-announced charity “dream project” continues, with four nationally-recognized artists officially committed already. It’s way too early to name names, but suffice it to say that although I’m still hoping to hear from more of our 30 “dream team” members soon, I’m so excited about the generosity and talent of each and every one of these four incredible artists, it’s becoming quite difficult to keep the cat in the proverbial bag. But by way of some not-so-subtle justification for saying so, allow me to note that a long discussion with a still-secret fifth potential contributor this week led to engineer, producer, house concert host, and studio-owner Neale Eckstein of Fox Run Studios, who has had a hand in enough cover videos to allow us to consider his body of work a series in and of itself. Full disclosure mandates that I mention that Neale and I are already members of the mutual admiration club: he subscribes to this blog, and I’m a huge fan of his annual Falcon Ridge Folk Fest after-fest photo-and-music collages, which often show me dancing wildly at stageside, if you know where to look. But the work he’s done in presenting the below artists and their covers speaks for itself: each represents its artist exceptionally, while offering intimate and apt entry into their body of work. We’ll close out, then, with a trio of YouTube covers produced by Fox Run Studios, and note that BettySoo’s bluesy take on standard You Don’t Know Me, Cliff Eberhardt and James Lee Stanley’s Doors cover, a Prince cover from singer-songwriter KC Clifford, and more original and cover recordings from Antje Duvekot, Grace and Pierce Pettis, Bethel Steele, Cary Cooper, Matt Nakoa, Brother Sun, and others are available on the Fox Run YouTube page. Before we compile our list of the year’s best tribute albums, cover compilations, and single tracks, Cover Lay Down wants to hear from YOU! Helping out is easy: just check out award criteria and categories for both Best Tribute Albums and Cover Collections of 2011 and our 2011 coverfolk mix of The Year’s Best Singles, use the sidebar to scour and sift through a year’s worth of archives, and leave a message in the comments below touting your favorite albums, EPs, and single tracks from 2012. And don’t forget to come back in a few weeks for news of new holiday compilations from Catie Curtis, The Sweetback Sisters, For Folk’s Sake, and more! Part 2: EPs from Zoe Muth, Emily Elbert, Lake Street Dive & more! As our title notes, we’re in the middle of a multi-feature series exploring recent Tributes and Cover Compilations – an overdue exercise, since our last full-length feature on the subject dates back to March 2012. 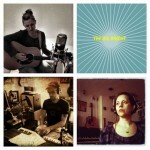 Last week, we took on three new full-length folk albums from artists generally thought of as originating outside the genre; today, we look at a trio of new EPs, and an in-progress EP-length video session, by and from true-blue folk artists and bands. 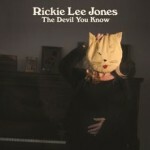 It’s becoming increasingly common for artists to release otherwise-covers albums and EPs with a single original song on them (see, for example, Friday’s treatment of Rickie Lee Jones’ The Devil You Know, which is being marketed as an interpretive album, even with one new track lurking among the covers). While this trend confounds delineation a bit, I’m certainly willing to allow it – after all, our own mandate at Cover Lay Down assumes the cover is predominantly a vehicle for comfort and approachability; to find that one original in the mix, and hold it up to the light of coverage, allows us to ease into the fullness of an artist’s craft, regardless of their stature. 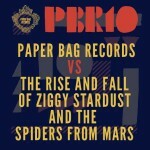 And in the case of the EP, it’s not hard to consider the work an expanded case of the maxi-single, which has often included b-side coverage – thus offering a short and inexpensive risk to the buyer, letting them sample the sound of a band, while testing the waters of their songwriting. Conveniently, two all-covers-but-one EPs from young artists on the Signature Sounds label have been tickling my fancy this year, and though they come from opposite ends of the folk spectrum, both are worth celebrating. The first, from Zoe Muth & The Lost High Rollers, features stellar countryfolk coverage from the twangy Seattle-based singer-songwriter, who has been compared to Loretta, Emmylou, Iris Dement, and Patty Griffin – high praise indeed, and incredibly apt, though the clarity of Kate Wolf is there in spades, too, in this tribute set to her influences. The second, from local heroes Lake Street Dive, was a core component of my summer soundtrack, perfect for summery drives with the windows rolled down; their work is less obviously folk, but the quirky, sparse instrumentation of the band, which features stand-up bass, vocals, drumkit, and trumpet, and the one-mic one-take recording on Fun Machine, fit squarely into the indiefolk mindset, even as the covers take on The Jackson 5, George Michael, Hall & Oates, and Paul and Linda McCartney, and the performances yaw towards an iconoclastic folk club lounge band’s modality. Possibly defunct Scandinavian Americana-folk collective Hyacinth House was around for a while, it seems – a quick internet search reveals old MySpace and last.fm pages that describe the band’s progress for a period of three years, from their inception at the hands of singer and producer Mack Johansson in 2003 up through the studio recording of their second album in 2006; a deeper dig nets blog mention of Swedish awards nominations for a 2008 album of originals which may or may not be that same second album, a rarities and b-sides album from 2009, and word of Johansson’s solo debut in late 2010. But if nary a homepage can be found anymore, perhaps it is a lesson in nomenclature: naming your band after both an entire artistic movement and a song by The Doors is always going to bury search results a bit, especially after you let your band fall by the wayside. Still, if their fragmented history is to be believed, even after their possible passage, Hyacinth House remains a local favorite in the Netherlands, and their Dylan tribute A Tribute To Bob is worth hearing beyond those tiny borders. 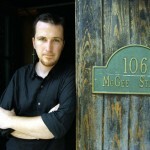 Recorded live on the road in the second half of the decade, and released this summer, the five tracks show a range of tonality – as might be expected from a group that in its earliest days ranged up to 17 members, though generally based on a core quartet of singer, guitar, cello, and alternating banjo, harmonicas and dobro, and unfailingly centered around Johansson himself. But whether it’s the sparse guitar-centered Springsteen feel of In My Time Of Dyin’ or their jangly contemporary dustbowl Buddy Miller take on Masters of War, the overall feel is wholly consistent with the quiet, contemporary acoustic roots music that we love to hear here on Cover Lay Down. Which is to say: it’s all folk, and it’s all quite good. Finally, we’re going to go wide, and declare a professionally-recorded, single-session series of YouTube covers equivalent to an EP, even though we generally insist that medium matters, and even though only two of the cuts have been released as of yet, making declaration of session length and content comprehensively premature. But give us some credit for not wanting to wait to bring you the best coverage we’ve heard this month: though we snuck one of her collaborative works with fellow Berklee grads The Boston Boys in a few months ago, we’ve been looking for an excuse to feature 23 year old jazz-slash-folk singer-songwriter Emily Elbert for a while, not hardly because of her fondness for video coverage, and the two amazing covers she’s already published from last month’s home studio sessions with her piano-playing father Roland are simply stunning, with Emily’s powerful, soulful voice and subtle guitar framed adeptly by the rolling jazzfolk piano her father sets behind her. Check ‘em out below, and then bookmark Emily’s YouTube and Facebook pages to make sure you catch the rest as they emerge. It was a relatively sparse Summer for tribute albums and cover collections, but we did miss a few during our long hiatus – and Fall has been bringing in a rich harvest, too. In honor of what we’ve fondly called the coverlover’s bread and butter, over our next few posts, we explore a host of new and impending albums for the covers connoisseur, with our usual mix of all-folk albums, hybrid genre sets, and singleton acoustic tracks from multi-genre collections sure to please all listeners – starting today, with a trio of totally folk cover-and-tribute albums from artists generally associated with other genres. After five decades on the road and in the studio, multi-genre living legend Rickie Lee Jones has taken a number of turns in and out of the folk canon in her long and storied career, producing plenty of folkpop alongside full albums of radiopop, R&B and Jazz standards and crooners along the way. 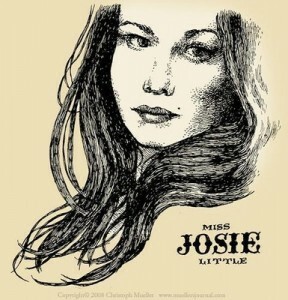 But where too many artists of her age and influence have turned to the maudlin and trite in their old age – see, for example, James Taylor’s dreadfully shallow post-millennial cover albums – Jones’ newest work sets her alongside Johnny Cash and his final quartet of albums, painting her aptly as a vibrant, deliberate artist to keep watching even as she continues to reinvent herself. Even if you’re a fan already, you’ve never heard anything like The Devil You Know, Jones’ brand new full-album tribute to her contemporaries and influences, a hugely powerful collection quite sparingly produced by fellow Grammy winner Ben Harper. The all-but-one-original covers album is a stunner from start to finish: quiet, broken, dark, and truly folk in every way, consistent and rich with slippery, sultry notes of blues and jazz. Try the broken wail of Comfort You, the slow, low buzz of Sympathy for the Devil, the dustbowl blues slide of Reason To Believe, the dreamy beauty of Only Love Can Break Your Heart. And then consider that the entire album goes on like this, and buy two copies – one for yourself, and one for a friend – because this is Rickie Lee like a blazing comet, with a promise of more genius and genre-stretching to come even as she reaches an age and stature that could have easily excused a well-deserved turn at easy listening. 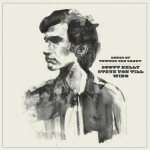 Equally torn, yet from way on the other side of the origin spectrum, is Scott “Wino” Weinrich, Scott Kelly, & Steve Von Till’s Songs of Townes Van Zandt, released this summer to little fanfare or recognition. The ragged, growling set from three seminal underground metal voices gone sparsely acoustic, a three-way split CD which features the trio trading off solo takes, rings of Robitussin lethargy dreams – neither the sound nor the sentiment that typical fans of Kelly and Von Till, Oakland-based artists who have long made their names as members of doom-and-gloom post-metal band Neurosis, and Weinrich, who is better known for his iconic work in the same doom scene, might expect, and a likely cause of its lack of attention from those both outside and in the world of alt-metal upon its release in July. But this is truly a singer-songwriter’s anti-folk album, even if it wasn’t marketed as one. 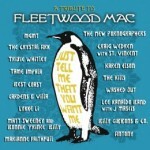 And if not all the tracks on this album are equally to my taste, as is often the case with nominally collaborative albums which actually turn out to have been created using the pastiche method, those used to hearing the tormented troubadour covered by the melodic and the past-their-prime folk set will quite appreciate their consistent sentiment, which truly illuminates, showing just how suited the slow speeds, low tones and surly, ragged style of metal-gone-folk are to Townes’ songbook. In my book, that makes the work quite a success overall – and worth our consideration here. 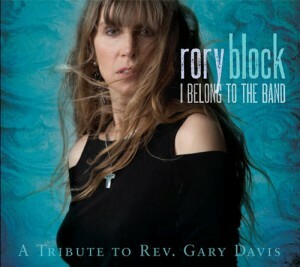 In her long and celebrated career, Mississippi Delta Country Blues singer/songwriter and guitarist Rory Block has drifted back and forth across the folk and blues lines, just like the country blues form itself: we’ve featured her work before in our thematic sets, and these days, the multiple W.C. Handy Award winner is just as likely to be found at blues festivals as folk fests, even as the folk festival scene implodes into indie, rock, blues, R&B, and roots. But I remember her mid-career works fondly from my childhood, where I found them a staple of my father’s folk collection, and I Belong To The Band: A Tribute To Rev. Gary Davis, which popped up in May, is just as fresh and raw as those early works, making it an apt addition to any folk collection. I Belong To The Band is the third in a series of recent tribute albums to the elder masters of the form, and as with previous tributes to Son House and Mississippi Fred McDowell, it’s tempting to treat the album as a one-take throwaway – stylistically, Block hews closely to what she knows best, and surely, after all these years, she can pump out this sort of loose, wailing work in her sleep (assuming that she sleeps with a slide guitarist and a few gospel singers at her bedside, that is). But with equal parts Christian celebration and bleak despair, the vibrancy and tenderness comes through eminently all the same, showing an artist still in her prime paying adept tribute to those who forged the way. For novices and collectors alike, then, and highly recommended for both. 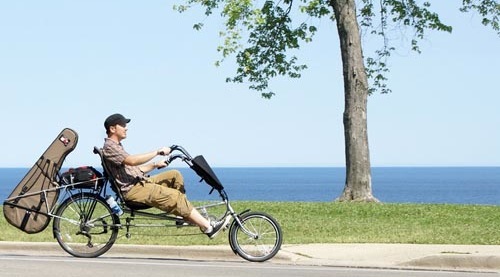 Enjoying the ride? Then stay tuned this week and next for our continued short series on recent cover compilations and tribute albums, with feature posts on mostly-covers EPs and LPs, multi-artist multi-genre tribute albums, and more to come! Peter Mulvey was one of the very first artists we wrote about here at Cover Lay Down, way back in October of 2007; at the time, we claimed that Mulvey has the versatility of the true cover artist, and the knack of bringing new meaning to a wide breadth of song, citing both his 2002 covers album Ten Thousand Mornings, recorded live in the Davis Square subway station just outside of Boston, and his collaborative work with lo-fi coverfolk supergroup Redbird as ample evidence. Since then, we’ve come back to Mulvey’s work multiple times, both as a solo artist and a collaborator. His whimsical, ragged takes on songs originally written and performed by Dar Williams, Paul Simon, U2, Joni Mitchell, Elvis Costello, Randy Newman and others have helped illuminate the works of these songwriters, and lent a sense of whimsy to features on Oceanfolk, Winterfolk, Show Tunes covers, and more. And, in 2009, in order to acknowledge the impending release of Letters From a Flying Machine, we revisited our original post, adding the lone cover from that album – a delightful take on Ira and George Gershwin’s Our Love Is Here To Stay – as justification for our continued celebration. 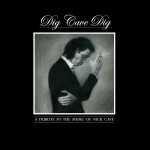 As we noted in our first look at the artist, Mulvey’s voice falls towards the Tom Waits and Dylan camps, full of feeling but hardly pure; fans tend to cite his songwriting and his guitarplay, which range from spoken word and acoustic swingjazz to contemporary folk and Americana, rather than his strained, whispery, sandpapery voice, when explaining their affection for the Milwaukee-based, Boston-and-Dublin bred singer-songwriter who has produced 16 albums in his career, and toured the country five times by bike. And certainly, Mulvey and Goodrich celebrate their collaborative fretwork, with the powerful all-instrumental album Nine Days Wonder, released last year, standing as an apt culmination of their partnership. But there’s something to be said for the power of song wrung from a broken instrument, and as a vocalist, Mulvey is a master of making the most of every note. 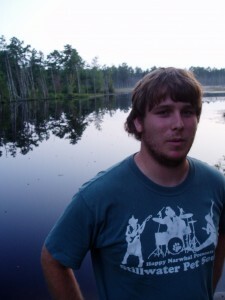 As a member of Redbird, which also includes Mulvey’s constant sideman and collaborator David “Goody” Goodrich and coffeehouse folkstars (and eventual married couple) Kris Delmhorst and Jeffrey Foucault, he lends a rough edge to harmonies, expanding the sonic experience, grounding the work in emotional grit. And, as a solo cover artist, whether in his earliest live recordings as a more traditional singer-songwriter or his most recent roots and jazz transformations, the spare voice recasts lyrics powerfully. 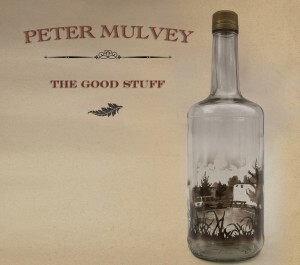 At the end of March, Mulvey’s third major covers-oriented project will come to fruition with the release of The Good Stuff, recorded last summer at the Signature Sounds studio just a few miles down the road from where our own blog is based. The plan was to make a rustic yet living album of standards, with rootsy instrumentation courtesy of Goodrich and others, and a long list of possible songs to winnow down to a single album, based primarily on the songs’ ability to come across as both timeless and lasting. And although we’ve promised not to offer or stream any of the new tracks until early March, having just received our preview copy of the album this week, we’re thrilled to announce that the project succeeds in spades, due to a potent combination of acoustic genre play, nuanced craftsmanship, and that healthy double-dollop of whimsy and respect which have become the hallmark of Mulvey’s work. As in Ten Thousand Mornings, Mulvey’s definition of “standards” ranges wide indeed, taking us from Duke Ellington to Tom Waits to Jolie Holland in the span of a single album. But where in that earlier project it was the environment which made for a vibrant, unified experience, with the echoes in the brick and tile underground and the screech and shuss of trains and passersby lending an air of realism, here, even as they mutate and transform to match the sense and sensibility of the set, it is the voice and guitar alone which create cohesion, with each carefully chosen setting providing new insight into a well-chosen classic song. The result is practically miraculous: a diverse set, simultaneously ancient and utterly new, which calls us to a myriad of authentic folk and jazz forms, with the music as adept a carrier of the century as the songbook. His Mood Indigo and High Noon combine bouncy fiddlefolk with a minor key swing, coating a deceptively gentle delivery in dramatic tension; his Thelonious Monk instrumental is just ragged enough; his take on Willie Nelson’s Are You Sure? is a gleeful acoustic country duet, gentle and wry; his take on Tom Waits’ Green Grass is low and hollow, a death’s dirge that rises into the night; his cover of Holland’s Old Fashioned Morphine is a bluesy Waits-esque interpretation, a drink and drug-addled hallucination; his Everybody Knows is a deep, funky samba that wails into electric smoke. If, as Mulvey notes, these are the songs “that will be firmly ensconced in the firmament when half a century blows all the rest of the chaff away”, then there’s a good chance that his will be the versions which we hear in our heads. As noted above, we’ve been asked not to spill the beans on the newest coverage from Mulvey. But here’s a build-up of older coverage from the man himself, both with and without friends – to reinforce your appreciation for a fine artist and interpreter, and to whet your whistle for the March 28th release of The Good Stuff. 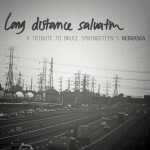 from Charlie Parr & John Statz, plus new Steely Dan and Dylan tributes! The January release holds a special place in the ebb and flow of artistry; though it runs the real risk of being forgotten by the time it comes to make our year’s end lists, it also finds the market just gearing up again after a spate of holiday absence and Christmas releases. Thanks to tip-offs and promos from the usual sources, our fresh eyes have spotted three albums – each one due to drop this month, all well worth watching for – plus a few bonuses on the event horizon. As always, read and click for the good stuff. 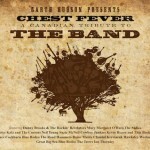 Five albums in, John Statz is still a relative newcomer to the field, and we seemed to have missed his most recent full-band disc, a rockin’ alt-country collection from 2010 aptly titled Ghost Town. But his newest album Old Fashioned represents a shift in sensibility for the itinerant singer-songwriter, from his earlier, grittier solo work to a richly produced dustbowl Americana, one that comes with all the right recommendations, from production house to distributor to studio session musicians. And if we’re eager to spread the word, it’s because this album is the best thing we’ve heard so far this year: thick with the ringing tones of the American heartland, graceful in execution and delivery, and perfectly, exquisitely folk, in the same vein as generations of wandering troubadours before him. I loved Charlie Parr’s piece on last year’s Vic Chesnutt tribute, and found plenty to like about Eastmont Syrup, an EP-sized collaboration with The Black Twig Pickers released with little fanfare and less recognition in the midst of 2011. And so I am thrilled to discover Keep Your Hands On The Plow, his impending album of traditional gospel classics, recorded at home with wife Emily, Alan Sparhawk and Mimi Parker of Low, and Four Mile Portage, a Duluth-based string trio. Despite the relatively large list of sidemen, the songs here are sparse and heartfelt, with the right balance of ragged gospel blues harmonies and well-crafted hill-and-holler fiddle and fingerpicking bound to tempt those who find their heart in the modern neo-trad work of Avett Brothers, Old Crow Medicine Show, and Low Anthem while still touching a nerve in lovers of the Louvin Brothers, Dave Van Ronk, Leo Kottke, and more. 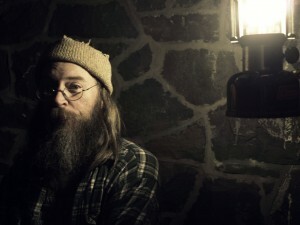 And though it ranges from haunting to bouncy and upbeat – East Virginia Blues, especially, is awash in eerie layers that compliment Parr’s torn voice; Blessed Be Thy Name opens with perfectly gentle two-part bluegrass harmony, catching my heart full-bore – the album as a whole is consistent and strong, sure to go a long way towards continuing to bring the acoustic singer-songwriter and song interpreter the recognition he deserves after a decade on the circuit. Aching to hear Miley Cyrus take on You’re Gonna Make Me Lonesome When You Go? How about aging rockstar Bryan Ferry tackling Bob Dylan’s Dream? 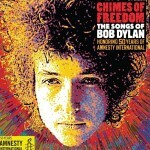 New Dylan tribute album Chimes of Freedom: The Songs of Bob Dylan Honoring 50 Years of Amnesty International is as unwieldy as its name: too big to work as a set, too broad to appeal to any single listener. Trust me, there is no reason why anyone should want to hear sleazy popstar Ke$ha cover Don’t Think Twice, It’s All Right, especially when she refers to her performance as “a suicide note to the love of my life and to my former life”; putting her version right up against the same song from the Kronos Quartet as a two-part finale to disc three of the 80-song compendium is mere sonic trickery, suggesting that this album is more about trying to market to everyone than it is about trying to create a listenable package. But living in a digital world means never having to lift the needle. And of the 4 CDs involved here, there’s at least an album’s worth of great newly-recorded folk-and-then-some tracks, from Taj Mahal to Thea Gilmore, from Joan Baez to The Gaslight Anthem, from Jackson Browne’s take on Love Minus Zero to the Carolina Chocolate Drops’ amazing cover of relative obscurity Political World. Brett Dennen’s high tenor rasp seems perfect for You Ain’t Goin’ Nowhere, and the first and last discs, especially, show some promise, with strong coverage from Dierks Bentley, Michael Franti, Mark Knopfler, Billy Bragg, Zee Avi, We Are Augustine, and Lucinda Williams in the mix. Here’s hoping the producers allow single-song download via the usual sources when the whole thing drops in digital and physical form on January 24th; if not, the $25 price is almost worth it even if you’re going to be throwing away half the tracks. In the meanwhile, here’s three favorites that appear in slightly different form in the collection. And due on the 31st, at least according to Direct Current’s always-comprehensive release calendar: a delicate, jazz-ballad-y, sparsely done pianopop album of Steely Dan covers from two Swedish singers recorded six years ago but finally getting the US rerelease it deserves. Seriously. Called Fire In The Hole: Sara Isaksson and Rebecka Tornqvist Sing Steely Dan, the collection – originally self-released in 2006, now coming out through Zip Records – is a bit syrupy in spots, but sure to please fans of Tori Amos, Sara Barielles, Norah Jones, and other mistresses of the form. This relatively ancient video take on Rose Darling from an ’06 TV appearance is delightful pianofolk, speaking well of the whole shebang; the mp3s are from the album.